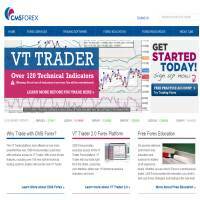 CMS Forex is a Forex trading service, providing two different platforms for currency trades. The system uses chart-based trading methods, with over 200 technical trading systems and analysis indicators to help you improve your trading decisions. CMSForex also offers a free demo account so you can practice without the risk of losing your money. However, if you decide to upgrade to a full account, it is important to remember that you can lose real money. Over 200 technical trading systems and analysis indicators to help you improve your trading decisions. As we mentioned briefly in our introduction, CMSFX.com offers users two trading platforms. The first, MetaTrader, is widely used for a range of trading purposes, so may appeal to traders who wish to use various trading websites and services. It's easy to use, but also provides in-depth options to help more seasoned traders. The second option is VT Trader 2.0, which is specially designed for Forex trading and allows you to trade from the Forex charts. This means you can make quick, accurate and informed decisions on currency trades. It also includes over 110 technical analysis indicators to potentially improve your profits. Trading tools include a flash pip calculator, which allows you to work out how much a pip is worth for any currency pair. Whilst this may be useful, the range of tools is very limited when compared with other trading websites, so we'd like to see more development in this area. 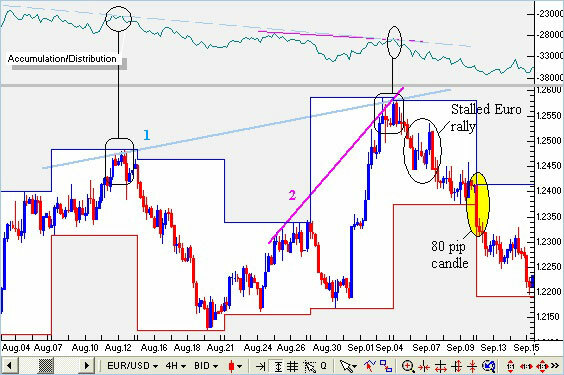 More impressive, however, are the customisable Forex charts, which allow you to track and monitor changes in the markets to better predict potential deals in the future. Educational tools and a user forum provide an opportunity to improve your trading techniques. This includes a free online Forex course, guides for using the two trading platforms and an overview of the systems. That said, the resources are quite lacking when compared with other Forex trading services. Our biggest issues with this online trading service arose from the website. Several of its main pages wouldn't load, which made using the site frustrating. We were left wondering how secure our information and money might be if they can't maintain their own site properly. This might have been a short term issue, but it doesn't fill us with enthusiasm or trust. CMS Forex is focussed on the Forex market, so your trading options are limited. Combine that with a few average online tools and a couple of trading platforms, and it wouldn't be a bad option for Forex trades if you're not interested in other markets. However, the website is full of problems and we found ourselves redirected to error screens more often than we'd like. This is particularly concerning because online trading can be a risky business, with real money gained or lost in an instant. If the CMSFX.com team can iron out those problems then the site might be worth a second look, but until then we're inclined to look elsewhere.